Father and son Ian and Trevor Hughes launched road bike brand Vielo in January, initially via twelve high-end British bike shops. 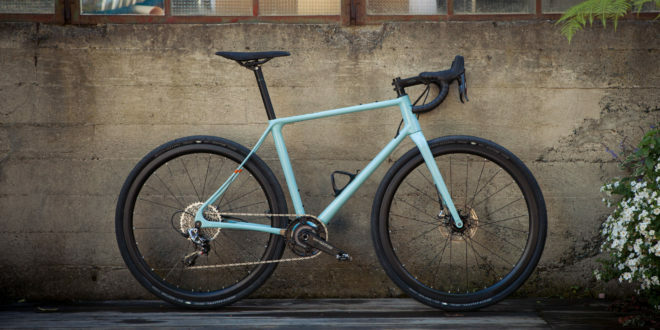 The brand’s gravel bike – the V+1 – is now also available in bike shops in California and Belgium. Via their company Vielo Sports the pair were formerly the UK brand builders for Storck, but their distribution contract was terminated in February 2017. Prior to setting up Vielo Sports the industry veterans had operated through Storck Raddar UK, winner of the 2015 BikeBiz Award for best specialist distributor. The V+1 – a "road plus"/gravel model – was styled in Italy, engineered in Germany, manufactured in Asia and then assembled in Vielo Sports’ Gateshead HQ. It is based on an 890g UD carbon frame, and is made for SRAM’s 1x group sets. 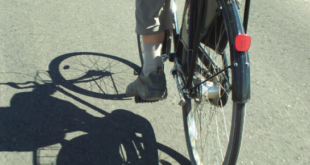 The frame, which features passive rear suspension, is capable of taking 42mm or 650B x 2.1mm tyres. There’s UK-specific internal cable routing, and discreet mudguard-mounts. The first non-UK bike shops to sell the brand are Above Category in California and Fietsen King in Belgium. Above Category’s Chad Nordwall said: “We’re obsessive over details and pride ourselves in doing things a little bit differently, focusing on the highest end and highest performance in cycling. The Vielo brand fits perfectly with our shop and niche product range." Vielo – and Ian and Trevor Hughes – will be on the SRAM stand at Eurobike. There’s a 45-minute interview with the pair on the Spokesmen industry podcast. They discuss the launch of Vielo, and go into greater detail on how they created their own bike brand.